The president-elect's proposals to expand and fix up U.S. highways seem to be a recipe for more toll roads. Texans from both parties hope to change that. Part of president-elect Donald Trump’s promise to create new jobs for Americans relies on a “deficit-neutral plan” to spend $1 trillion on public works projects, including hundreds of billions for roads and rail. But the strategy could result in something many Texans aren’t going to like: more toll roads. “Unfortunately that’s the way I’ve read it,” said state Sen. Don Huffines, R-Dallas, vice chair of the Texas Senate transportation committee. There are also fears the plan could provide few new highway projects or road improvements to the state’s vast rural areas. And the lack of details in the proposal has so far made it unclear how Texas’ urban transit agencies could be affected. Trump’s plan is already getting some opposition from his own party in Washington, D.C. In the Lone Star State, where residents have balked at a growing number of toll projects, state officials from both political parties are hoping the incoming president backs off reliance on the private sector. “To be direct, it’s a little scary and kind of contrary to where our current leadership in Texas has been going the last couple of years,” said state Rep. Joe Pickett, D-El Paso, who chairs the Texas House transportation committee. Under the current proposal, the $1 trillion in infrastructure investment would come not from the government, but from private companies who would receive tax incentives for borrowing funds needed for construction costs, according to Trump’s campaign and transition websites and a paper authored by two of his senior advisors. The private firms who build the roads, though, would expect a revenue stream to cover principal, interest and operating costs. And the most common way to create a revenue stream on a road is to toll it. “To suggest public-private partnerships and relying on tolls, we’ve already kind of maxed those out,” Pickett said. Vocal toll road opponent Terri Hall of San Antonio is the executive director of Texans Uniting for Reform and Freedom, a group whose members are contacting Trump Chief of Staff Reince Priebus and asking the transition team to rethink the infrastructure plan. She said the proposal essentially privatizes the nation’s roadways and opens a door to corruption. “It reeks of cronyism, which Trump’s campaign promise to ‘drain the swamp’ was supposed to get rid of,” she said. Most transportation funding comes from federal and state gas taxes that drivers pay when they fuel up. But neither the United States or Texas gas tax rates have been increased in more than two decades, creating funding shortfalls that have been exacerbated by inflation and rising construction costs. To fill the gaps that the gas tax revenues couldn’t cover, Texas for years turned to toll projects to help fund new, widened and rebuilt highways. But there’s been a recent statewide, bipartisan pushback against the proliferation of toll projects. Texas residents and elected officials have vehemently fought a litany of such projects and have often succeeded in scrapping the tolling components or killing entire roads . Meanwhile, questions have arisen over how Texas drivers benefited from $1 billion that several local entities spent developing a bevy of toll projects across the state. And the private company that operates a portion of tolled State Highway 130 in Central Texas filed for bankruptcy after lower-than-projected traffic created financial shortfalls. 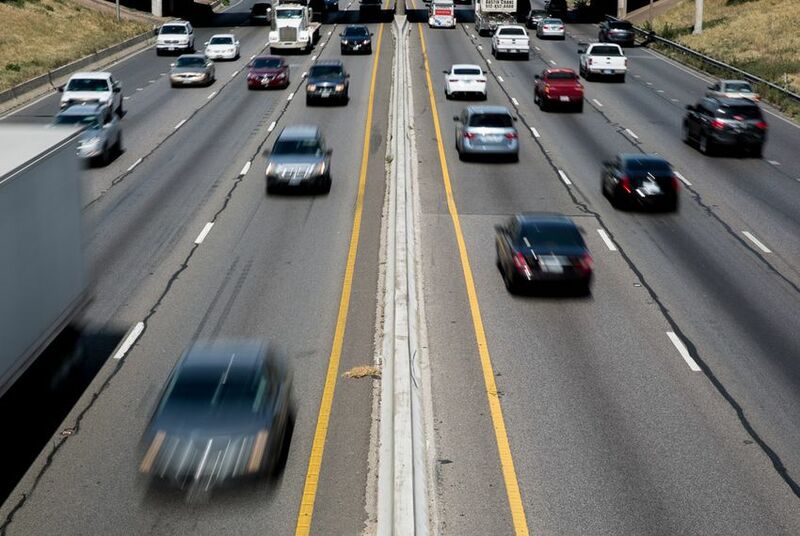 After the Texas Department of Transportation studied how much it would cost to pay off the debt and remove tolls from roads across the state, lawmakers expressed frustration that the tally exceeded $36.7 billion. Texas voters twice in the last two years approved constitutional amendments that would send more existing revenues to the state highway fund. Both provisions explicitly forbade the state from spending those dollars on any project that has a tolling component. “As Texas continues to grow as one of the best places to work and live, transportation will remain a priority,” the statement said. Nowhere in Texas is there more toll fatigue than in the Dallas-Fort Worth area, where some affluent suburbs are reached by more toll roads than tax-funded highways. The region is also expected to soon become home to the nation’s largest network of managed toll lanes, which are built alongside rebuilt or expanded tax-supported highway lanes. But Michael Morris, transportation director for the North Central Texas Council of Governments that steers federal funding to projects in the region, said the Trump proposal’s reliance on private money isn’t concerning. Morris said Texas’ urban areas will never have enough public funds to keep up with demand for more roads. “So, the region has demonstrated for some time the benefits of leveraging transportation projects to develop a solution for providing mobility and a revenue stream to maintain infrastructure over time,” he said. Others, though, worry that rural areas will be left behind under the current proposal. Geoff Anderson is the president and CEO of urban planning and development nonprofit Smart Growth America. He said that private firms aren’t likely to view improving access to rural areas or rebuilding aging county roads as financially feasible or worthwhile. “The projects that address those types of issues seldom have a revenue base,” he said. Huffines, the Senate transportation committee vice chair, echoed Anderson's concerns. He also said that toll roads in urban areas will geographically segregate people by income because only those Texans that can afford the added cost will live near such corridors. “Those that can’t are going to live in those areas where they don’t have to go down toll roads,” Huffines said. Hall, the toll road opponent, said the proposal would create a regressive cost burden on working class and rural Americans who helped Trump win the election. "It would likely get him in trouble with a voting bloc very early in his administration," she said. Anderson of Smart Growth said the plan should have a better balance between public and private funding. Huffines said a good start would be for the federal government to send back to the Lone Star State all of the federal gas tax revenues that Texas drivers pay, a move he estimates would result in an extra $800 million a year for transportation spending here. “I would just be tickled pink if we could just get 100 cents on the dollar back,” Huffines said. Dallas Mayor Mike Rawlings wants TxDOT to give a holistic analysis of the city's divisive Trinity Parkway toll road project. In the wake of a bankruptcy filing from a private company that operates a Texas toll road, North Carolina dispatched a top transportation official to Texas as his state began work on a similar project.